personnel and analysts for your Software Development Projects. A fixed monthly rate with no overhead which makes it more than 60% less than on-site developers. Power over technical resources and human force throughout the duration of the project. You have the liberty to select individual members of your team. You decide the working hours to suit your operations. Guaranteed Intellectual property rights and Data Confidentiality. Reliability, Reliability, Reliability! Staff that you can count on to deliver time critical projects to your customer. 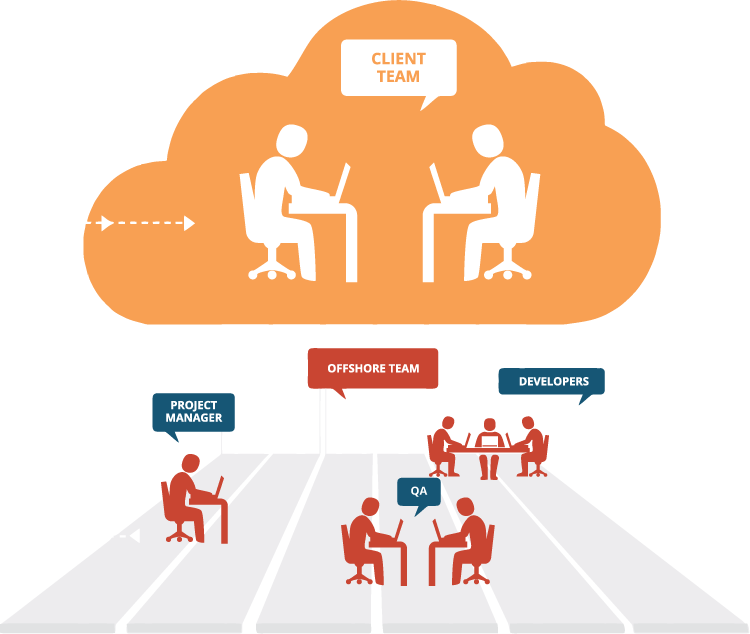 Genetech Solutions has a proven history of providing professional and affordable dedicated development teams to businesses all over the world. Whether you are looking to get expert software development staff on your roster or round the clock application support, Genetech has the experience and staff to fill your needs. Being our client means that you stay in charge of your project objectives and profit from the developers trained in state-of-art technology systems. You get to cut down your heavy expenses of employing an in-house development team. As we take care of your back office headaches, you gain maximum ROI by focusing more on what your core business is all about. You possess all intellectual property rights and all your projects are dealt with strict confidentiality and professionalism.